Cllr Blatchford was born in a Bitterne Nursing Home in 1955 but has lived in Sholing all her life and educated locally at St Monica Infant and Junior School, Weston Park Girls and Southampton College for Girls. She then attended Westhill College of Education in Birmingham and completed Teacher Training in 1977; working from 1978 until 1992 at the Southampton Careers Office, part of Hampshire County Council’s Education Service, where she helped young people (16-21) into jobs and training, visiting employers and schools. When first elected to the Council for the St Lukes Ward, Cllr Blatchford resigned from the Careers Office. From 1996 to 2010 she served as Councillor for Sholing and was elected again in 2011. Cllr Blatchford served on numerous committees and panels over the years and has held various positions including Chair of Environmental Services Committee, Cabinet Member for Communities and Regeneration and Licensing Chair. 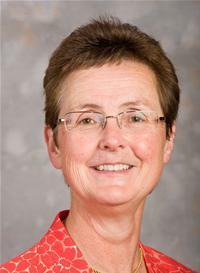 She first served on the Planning Committee in 1994 and as its Chair from 1996 with the most memorable meeting being in the Guildhall for the St Marys Football Stadium planning application. She has been a School Governor since 1998 at Woodlands Community College Harefield where and Chair of Governors since 2009, also serving as Governor at St Monica Junior School from 1988 until April 2014 when it became a Primary school. Cllr Blatchford is a Member of the Sholing Valley Study Centre Association, who help manage and maintain the Millers Pond Local Nature Reserve and volunteers on their Work days when possible.